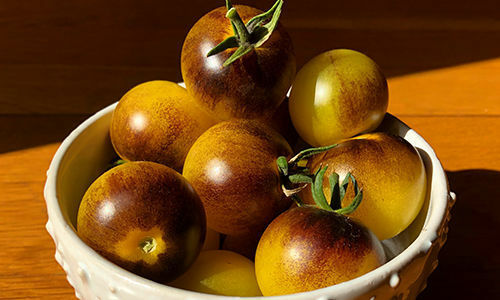 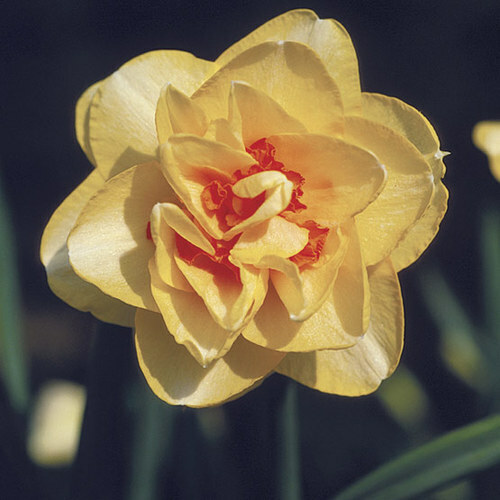 The newly opened blossoms of N. ‘Intrigue’ (1970, Zones 3–9) are a soft chartreuse-yellow. 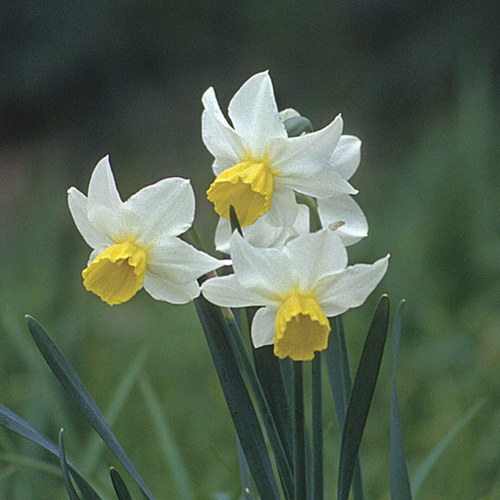 As they mature, however, the flowers become a luminous white and attract a lot of attention, especially when planted with a blood-red tulip like ‘Hollandia’. 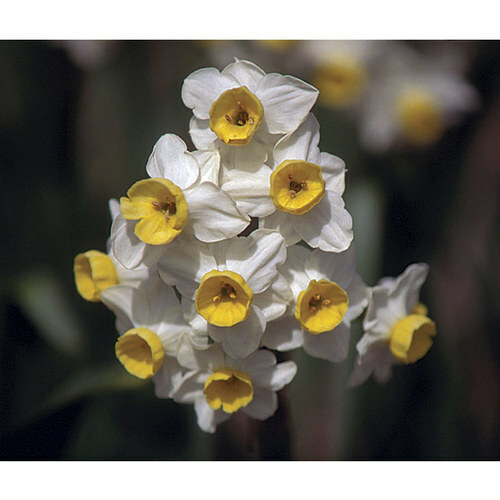 When combined with another soft-colored flower, like Hyacinthus orientalis ‘Lady Derby’, it creates a peaceful scene. 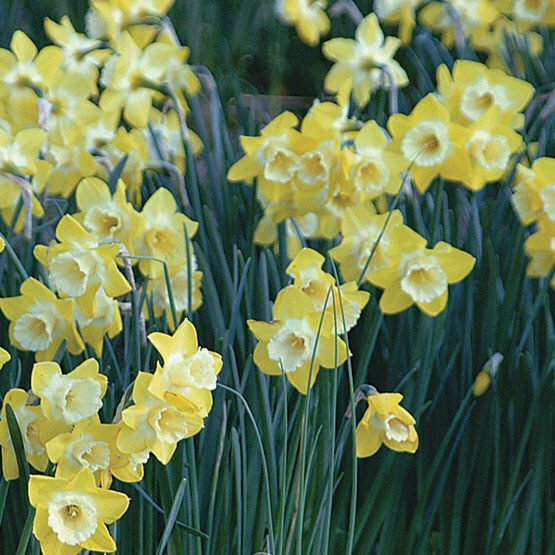 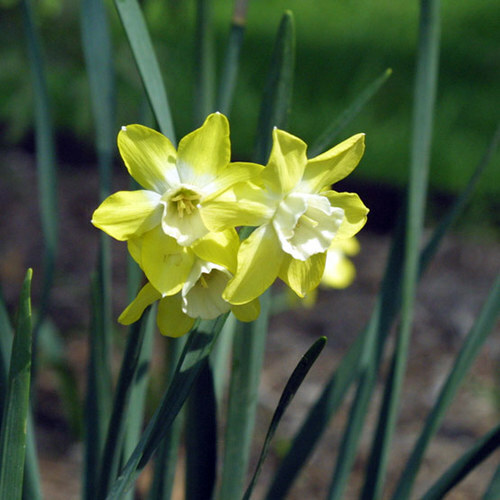 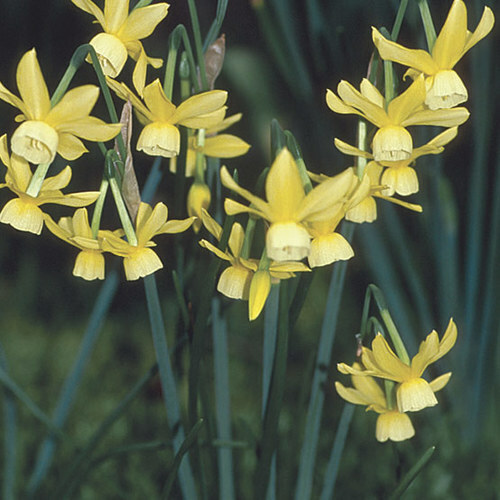 An American-bred jonquilla-type daffodil with several flowers per stem, ‘Intrigue’ also has a wonderful fragrance.